Older patients with depression may be at greater risk of death following a procedure to replace a damaged aortic valve of the heart, reports a study published today in JAMA Cardiology. “The clinical implications of our findings support active screening for depression before and after aortic valve procedures to identify patients who may benefit from further psychiatric evaluation for the diagnosis and treatment of a depressive disorder,” wrote Jonathan Afilalo, M.D., M.Sc., of Jewish General Hospital, Montreal, and colleagues. The study included patients who were at least 70 years of age with symptomatic aortic stenosis and who had undergone transcatheter or surgical aortic valve replacement. 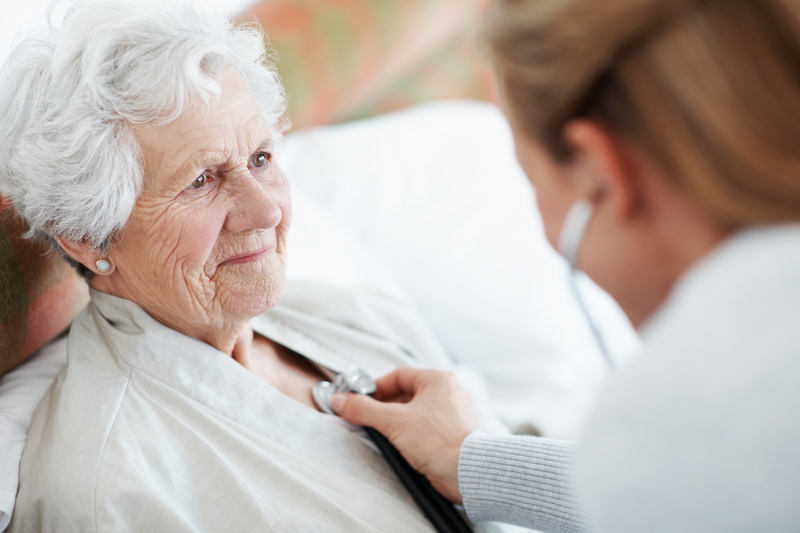 As part of a larger prospective cohort study, these patients completed a preprocedural assessment of frailty, disability, comorbidity, cognitive function, and mood. Depressive symptoms were assessed using the five-item Geriatric Depression Scale Short Form (GDS-SF) at baseline and follow-up at six and 12 months. The authors defined a GDS-SF score of at least 2 of 5 as indicative of clinically relevant depression. Of the 1,035 patients (427 men and 608 women; mean age of 81.4 years) included in the analysis, 326 patients (31.5%) screened positive for depression. Compared with patients without depression, those with depression were more likely to have diabetes, chronic kidney disease, hypertension, chronic obstructive pulmonary disease, and/or cerebrovascular disease. Patients with depression were also more likely to be physically frail and to be cognitively impaired compared with those without depression. After adjusting for clinical and geriatric confounders, the researchers found that baseline depression increased risk of death at one month (odds ratio [OR], 2.20) and at 12 months (OR, 1.532). Persistent depression—defined as baseline depression that remained six months after the procedure—was associated with a threefold increase in mortality at 12 months (OR, 2.98). “Given the prognostic implications and diagnostic challenges, coordinated care involving cardiovascular and psychogeriatric specialists is indicated to provide optimal management to patients undergoing TAVR [transcatheter aortic valve replacement] and SAVR [surgical aortic valve replacement] who exhibit depressive symptoms,” the authors wrote. For related information, see the Psychiatric News article “Can Collaborative Care Really Help Patients With Depression and Diabetes or Heart Disease?” by David Katzelnick, M.D., Rebecca Rossom, M.D., M.S., and Leif Solberg, M.D.